Meacher Major brought the pain one last time and ended his storied boxing career with a knockout win in what he called a “homecoming” for himself, family, friends and supporters. 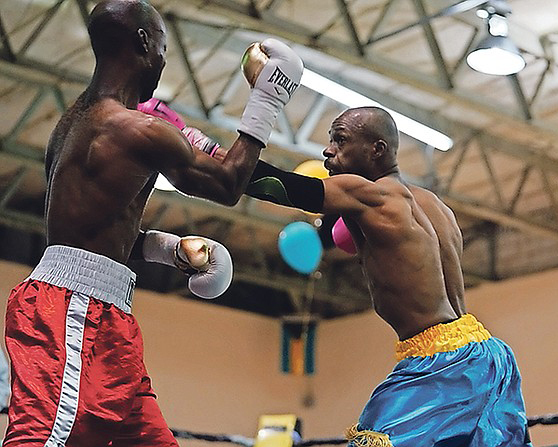 Major’s right hook to the body floored Martin Anderson of Jamaica and secured the knockout at the 2:10 mark in the third round in the main event of the “The Last Dance” at the CI Gibson Gymnasium on Saturday. Major and Anderson first faced each other in April 2016 at the Caribbean Showdown, hosted at the Kendal Isaacs Gymnasium. In a super featherweight main event, Major secured a second round TKO.